A local fire department is upgrading some of their tools thanks to a generous donation. 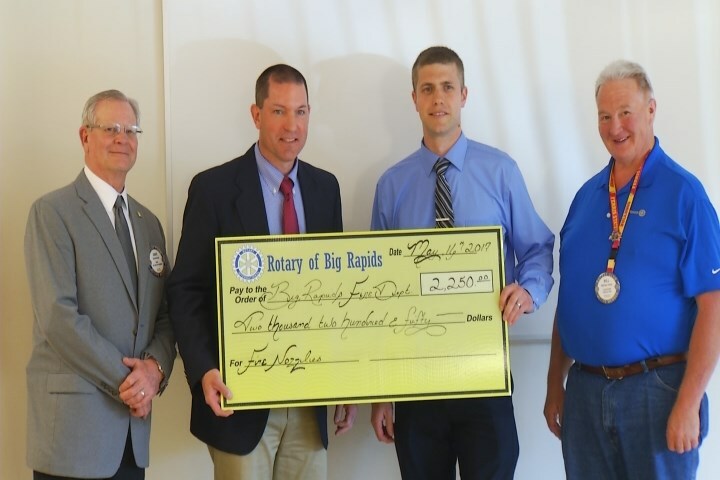 The Big Rapids Rotary Club donated $2,250 to the Big Rapids Department of Public Safety Fire Division. The donation allowed the department to purchase three new fire hose nozzles. They are more light weight and have a water flow rate of up to 200 gallons per minute. More importantly, this new purchase will allow them to put out fires faster and more efficiently. In the future, the department hopes to be able to replace all of their older nozzles.